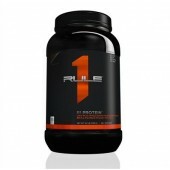 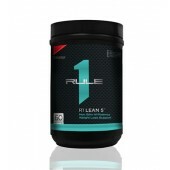 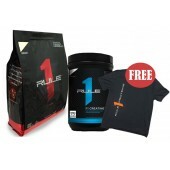 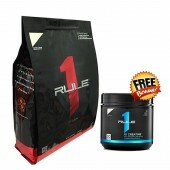 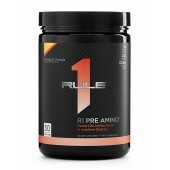 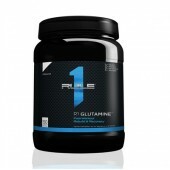 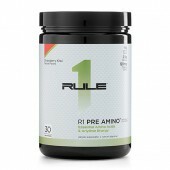 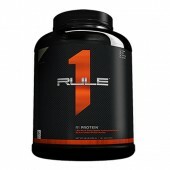 R1 LBS by Rule 1 Proteins is a high-calorie extreme mass gainer featuring a 5:1 carbohydrate to prot..
Rule 1 R1 Creatine Fast Absorbing Micronized Creatine Monohydrate Rule One Proteins workout ma..
Rule 1 R1 Lean 5 Rule One Protein R1 Lean 5's clean 5-ingredient formula provides a stimulant-fre..
Rule 1 R1 Protein Rule1 Whey Isolate WPI - 10lbs BONUS: Rockhard's 2.2L Water Jug + Towel! 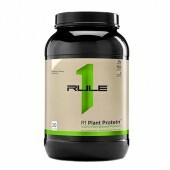 Rul..
Rule 1 100% Pure Whey Protein Blend Formula 5lbs Rule One's 100% Pure Whey Blend is a rapidly dig..
R1 Gain By Rule 1 Proteins- Lean Muscle Gainer Please Note: If shaker is sold out at time of purc..
R1 Gain By Rule 1 Proteins Mass Gainer R1 Gain by Rule 1 Proteins is a premium high quality lean ..
Rule One Proteins R1 Train - Ultra Pure Branch Chain Amino Acids Your muscles don't get a break w..
Rule 1 R1 Gain - Lean Muscle Gainer R1 Gain by Rule 1 Proteins is a premium high quality lean gai..
Rule 1 R1 Glutamine • 100% Pure L-Glutamine • Promotes Muscle Cell Volume • Stimulates Protein ..
Rule 1 R1 Naturally Flavoured Pre Amino 30 Serves Fuel up with Aminos and boost up your Energy in..
Rule 1 R1 Pre Amino 30 Serves Fuel up with Aminos and boost up your Energy! 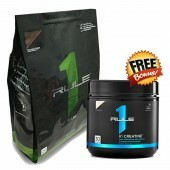 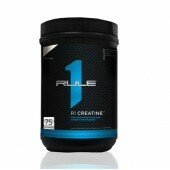 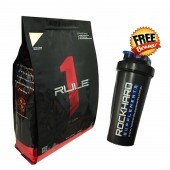 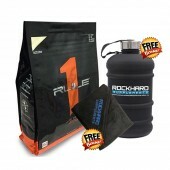 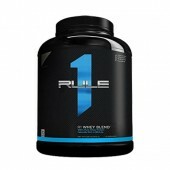 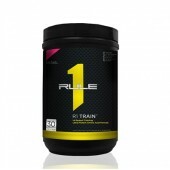 Energy and Motivat..
Rule 1 R1 Protein Rule1 Whey Isolate WPI - 5lbs Rule1 Whey Protein has just arrived at Rockhard S..